SACRAMENTO, Calif. (CN) – The cost of the first phase of California’s high-speed rail project through the state’s Central Valley has soared by 35 percent to $10.6 billion, officials disclosed Tuesday. The California High Speed Rail Authority disclosed the $2.8 billion spike during its regular Tuesday meeting, citing unanticipated costs relating to right-of-way purchases, utility relocations, general increases in railway costs and lawsuits. “We’ve got to enhance active management of this program,” said rail authority board chair Dan Richard during Tuesday’s meeting. Rail authority staff said that no one problem loomed large, and instead noted a long list of costs under 50 million that eventually added up to the significant price spike to build the 119-mile segment slated to run from San Jose to Bakersfield. One of America’s largest infrastructure projects, California’s bid for high-speed rail has been plagued by cost overruns, schedule delays and changes in executive leadership since voters passed a $10 billion bond in 2008. 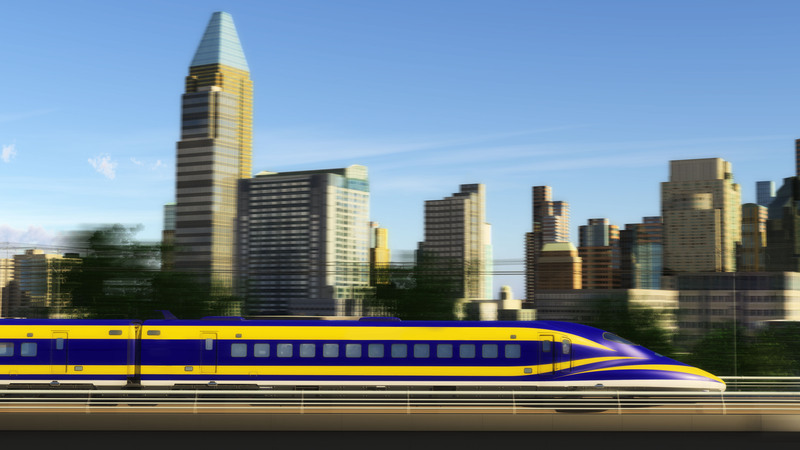 When voters approved Proposition 1A, the architects of high-speed rail in the state estimated the project’s overall price tag at $40 billion. That estimate to build rail from San Francisco to Los Angeles has risen sharply in the decade since, to $67 billion. However, officials said they are optimistic the agency can later recover a portion of the spike announced Tuesday. Optimism also prevailed regarding the agency’s hiring of a chief executive officer, a position that has been vacant since former CEO Jeff Morales stepped down last spring. Brian Kelly, the first California State Transportation Agency Secretary, will lead the rail authority effective February 1. “Brian has ably led the California State Transportation Agency since its inception and is uniquely qualified to move the nation’s first high-speed rail project forward,” said Gov. Jerry Brown in a statement on Tuesday. Rail authority officials touted Kelly’s experience running an agency with thousands of employees and an $18 billion budget as cause for optimism that he can bring a steady hand to a project and agency that is in need of stability. Kelly comes on as German rail giant Deutsche Bahn’s American arm, called D&B Engineering, begins its work on the project. The firm won a competitive bidding process last year to be the rail provider while assisting in procurement decisions, design of stations and other aspects of the pre-operation and early-operation phase.